May 16, 2014 – The law firm responsible for filing the very first law suit in the nation against DePuy Orthopaedics alleging an artificial metal-on-metal hip the company manufactured was defective, announced today that the landmark $2.5 billion settlement negotiated last November has been accepted by the required number of plaintiffs and can now proceed. Walkup, Melodia, Kelly & Schoenberger issued a press release today announcing details of this development. Our firm has been closely monitoring this particular litigation since its inception for a variety of personal and professional reasons. We established a companion website more than three years ago dedicated to helping this special class of plaintiffs with whom we feel a special connection. With much of the DePuy ASR hip settlement litigation drawing to a close, now is the time to ensure your last step is the one that’s right for you. For many, an all cash settlement will make the most sense. But others will want to take advantage of a unique settlement opportunity not available to the general public. Those who opt for the latter can arrange to structure all or part of their recovery in such a way that guaranteed future income – which is 100% tax-free – will be paid to them according to a schedule they choose. Many will find this structured settlement method preferable for its safety, security, tax efficiency, competitive relative rate of return and ease of use. IMPORTANT: Certain tax code restrictions and limitations exist so it’s vital for clients to understand their options before taking receipt of any settlement funds. We’re here to help. Call today for a confidential, no cost, no obligation consultation about your settlement. We understand what you’ve been through and look forward to helping you make the right choice about your DePuy ASR hip settlement. November 13, 2013 – Rumors began circulating this afternoon that Johnson & Johnson has agreed to a $4.0 billion products liability settlement to end the litigation of more than 7,500 pending lawsuits in state and federal courts, alleging metal-on-metal artificial hips, manufactured be subsidiary DePuy Orthopaedics, were defective. If this turns out to be true then we weren’t far off on our prediction a few days ago that such a settlement was nigh. In a game of horseshoes, this would have been called a “leaner” worth two points. We’ll remained focused on the details of this settlement with great interest (assuming it pans out) as it unfolds over the course of the coming weeks and months and stand ready to assist anyone who can benefit from the unique advantages structured settlements afford them in this type of litigation. NOTE: It’s important to stress at this time that the terms of any settlement are said to be confidential so any reports, including this one, should be considered unofficial. For additional information on how you can benefit from structuring your DePuy hip settlement, please visit our companion website dedicated to this unique class of plaintiffs to learn how we can help and why we feel so strongly about this particular group of lawsuits. March 25, 2013 – That’s the conclusion of the USA Today Editorial Board following its analysis of the recently concluded Los Angeles Kransky v DePuy trial in which a jury found the device manufacturer negligent to the tune of $8.3 million in compensatory damages awarded to a retired Montana prison guard who sued DePuy over complications arising from a failed metal-on-metal hip replacement. The Kransky case, the first trial in the nation of approximately 10,000 lawsuits filed, is noteworthy for the higher than demanded compensatory value awarded and the finding that insufficient evidence existed to warrant punitive damages. The latter may change in future cases if USA Today‘s analysis is any indication. The widely circulated daily newspaper contrasts DePuy’s slow response in recalling the defective ASR hip device from market once problems became known to Johnson & Johnson’s prompt response to the Tylenol cyanide poisoning cases nearly three decades earlier. Johnson & Johnson is the parent company of DePuy Orthopaedics who manufactured the recalled devices. The nation’s second defective DePuy hip lawsuit began in the Circuit Court of Cook County, Illinois just two weeks ago. As all these case move forward, our firm remains committed to assisting those who have been adversely impacted. We have established a companion website, ASRHipSettlement,com, to help clients familiarize themselves with the benefits of resolving their disputes with DePuy by choosing a structured settlement. We continue to monitor the DePuy litigation closely. March 8, 2013 – Jury deliberations have ended in the trial of Kransky v DePuy, the first lawsuit to go to trial in the United States for defective design of the recalled ASR metal-on-metal artificial hip manufactured by DePuy Orthopaedics, a division of Johnson & Johnson. The verdict? Guilty of negligence. While the jury awarded the plaintiff, Loren “Bill” Kransky, $8.3 million (57% higher than demanded in closing arguments) in compensatory damages, they failed to attribute any punitive damages to the verdict according to Bloomberg. Plaintiff attorneys had sought up to $179 million in punitive damages. It remains to be seen what impact this verdict will have on the remaining 10,000+ cases awaiting trial but we will continue to watch this litigation closely. Johnson & Johnson lawyers plan to appeal the jury’s verdict. January 31, 2013 – As the nation’s first trial alleging defective design among other causes of action against DePuy Orthopaedics regarding the recalled Articular Surface Replacement (ASR) artificial hip implant device moves forward in Los Angeles, some headlines are painting a bleak picture for the Johnson & Johnson subsidiary. Today’s New York Times features a headline that points out J&J’s own internal review inadequacies when it set out to assess the device’s potential risks before it was used on more than 90,000 patients. Our firm continues to monitor Kransky v DePuy et al because of the impact it may have on the more than 10,000 other lawsuits currently pending in courts across the country. As a bellwether case, it is likely to have meaningful bearing on future settlement talks. To read why our firm feels so personally connected to this particular litigation and to learn about the structured settlement option potentially available to the plaintiffs, visit our dedicated website to learn more at . . .
Our firm will continue to monitor this case with great interest. January 22, 2013 – The first trial in the nation involving the recalled ASR artificial hip implant devices, manufactured by DePuy Orthopaedics, is scheduled to begin this week in a California court room according to today’s Wall Street Journal. Tomorrow’s Washington Post includes some interesting details about the pre-trial expert testimony on the case styled Kransky v. DePuy. The Finn Financial Group has been closely monitoring this litigation for the past several years because of a personal connection we feel to the plaintiffs involved. For further information or for a personal consultation, please contact us so we can help you make an informed decision about your future. We will continue to monitor this and all DePuy lawsuits with great interest. 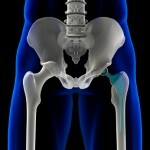 January 10, 2012 – The lawsuit against artificial hip manufacturer DePuy Orthopaedics (Moira Jackson v. DePuy Orthopaedics) scheduled for trial in Prince George’s County, Maryland this past week ended when the plaintiff dropped her lawsuit just after jury selection was concluded according to Bloomberg. According to some web reports which have yet to be confirmed, she may refile to pursue remedy in federal court. Later this month, a California lawsuit is expected to commence trial pending the results of a defense motion for summary judgment, filed last November, scheduled to be heard tomorrow. Plaintiffs who may be anticipating settlements stemming from the DePuy litigation are encouraged to familiarize themselves with the concept structured settlements as an option for receiving any compensation they may be entitled to. 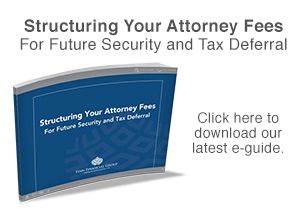 We welcome the opportunity to be of service and urge all clients pursuing legal remedy to educate themselves on the income tax-free benefits of structured settlements for their injury claims. January 4, 2013 – According to various sources, the first state trial in the United States involving the much maligned DePuy ASR artificial hip is scheduled to go out on Monday, January 7, 2013 in Prince George County, Maryland. While industry insiders will be watching this state trial with great interest, more interest will likely be paid to the first federal trials stemming from the lawsuits consolidated in the Ohio multidistrict litigation against DePuy directly. Two trials are tentatively scheduled for May 6, 2013 and July 8, 2013. Those involved in any litigation stemming from the DePuy ASR litigation are invited to visit our firm’s companion site, ASRHipSettlement.com, to learn more about how they may benefit from choosing a structured settlement for all or part of any post-settlement proceeds they may be awarded. August 21, 2012 – Early this morning, reports surfaced citing unnamed sources about Johnson & Johnson’s agreement to resolve three DePuy artificial hip lawsuits. If confirmed, these will be the first known DePuy settlements to occur. This news comes less than a week shy of the two-year anniversary of the voluntary worldwide recall of certain artificial hips manufactured by DePuy Orthopedics, a division of Johnson & Johnson. Allegations of elevated chromium in patients’ blood, exceedingly high implant failure rates and intense pain and suffering are among the charges levied against the defendants. For an excellent summary of the History of the DePuy ASR Case from the law firm that filed the first product liability lawsuit in the country against DePuy, we highly recommend following the posts from noted San Francisco personal injury law firm Walkup, Melodia, Kelly & Schoenberger. For more information on how some of the more than 8,000 plaintiffs involved in various lawsuits around the globe are expected to resolve their anticipated settlements against J&J, visit ASRHipSettlement.com to see how structured settlements can help them. While there, we invite you to watch a video on our firm’s YouTube Channel, currently viewed by over 2,900 people, to understand why this litigation is so personal at our firm and why we care. We continue to monitor developments on this matter closely. Please contact us if there’s anything we can do to help you. Ms. Wright goes on to describe the 501(k) process which enables medical device manufacturers like DePuy to win approval for new products by simply claiming they are not materially different from existing approved devices. As a result of the plethora of problems stemming from devices not properly tested, Congress has initiated work on a national surveillance strategy in an effort to protect consumers from defective products. According to Forbes, the costs of claims associated with faulty hips like those produced by DePuy and other manufacturers is expected to top $5.0 billion. Clients who are involved in the DePuy hip recall claim process are encouraged to visit our dedicated website, ASRHipSettlement.com, to understand how they may be able to benefit from a structured settlement should their claim against DePuy result in any monetary compensation.